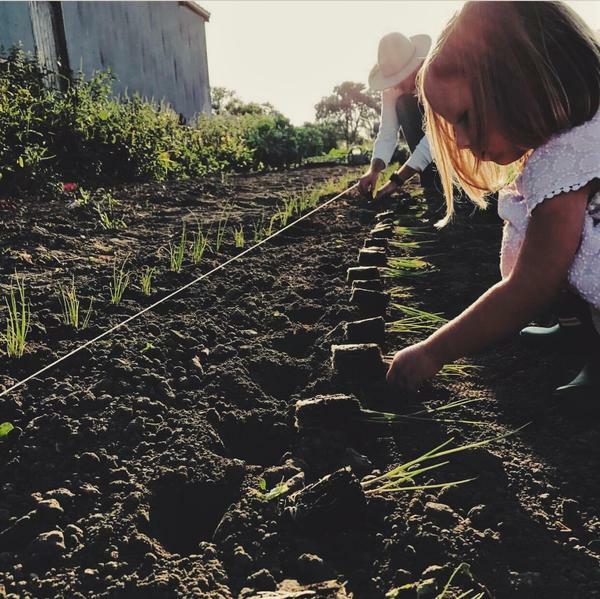 Four-year-old Emma is already helping out at Field and Farm Co., doing things like transplanting onions. Part One: How to part with land, by Harvest Public Media's Madelyn Beck. Past the likeness of Western movie icon John Wayne etched in stone, a ways down North John Wayne Road and at the end of a long dirt driveway is Kim Curry’s place. A few of the farm’s seven dogs meander up to the gate to bark at anyone who pulls up, while chickens and occasional escapee piglet scrounge for food around the yard. The Curry Family Farm is near Springfield, Illinois, but unlike most of that area, it has green, rolling hills, a few creeks and a few ponds. It’s been in the family since 1886. The 59-year-old lives there with her sister and niece, but the three of them can’t keep up with it all, especially because she has a full-time state job working with disability claims. And that’s where it gets tricky for people trying to offload land in Illinois, which doesn’t have an online system like several other states — Iowa, Nebraska and Montana, for example — that specifically links older farmers with newer ones looking for land. People have to turn to online or newspaper classified ads, or, like Curry, post property on a regional website, like the Midwest Organic and Sustainable Education Service. But it doesn’t doesn’t have many Illinois postings, and she hasn’t had any takers. The Beginning Farmer Center, which is part of Iowa State University Extension and Outreach, runs Ag Link. As Director David Baker explained, the goal is to “try to match up experienced farmers and/or landowners that might not have a successor to their farm business” with beginning farmers. But he has about 660 young farmers and only 40 to 45 tenured farmers in that database. “I need more of the farm families to say, we have a legitimate business and we’d like to see it go on in the future, we’d like to support our communities by having this business here, doing business in town,” said Baker, a former farmer himself who rented his property out to a young family. Farmers are also working well into their later years, and there’s an incentive to hold on to property until they die: It won’t be taxed when it goes to heirs. However, if a farmer holds onto farmland into his or her 80s or 90s, the “children” are tipping into their 50s and 60s — keeping younger farmers out of the loop once again. Mervin Roth, a farm manager at Ag Resource Management in Macomb, Illinois, is the guy who’ll take care of taxes and paperwork (and sometimes renters) for land that’s been left to children who don’t intend to continue the family business. Roth encourages older farmland owners to plan early, especially if they want their property kept in the family, farmed a certain way or sold under specific circumstances. Those early conversations and planning are essential, he said, to avoid potential pitfalls and family arguments, which he ends up having to referee. 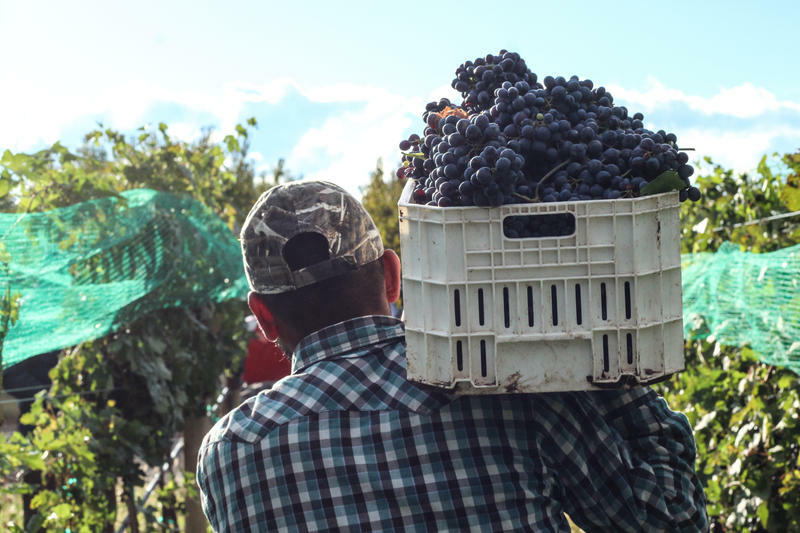 Part Two: Getting started in farming, by Harvest Public Media's Madelyn Beck. 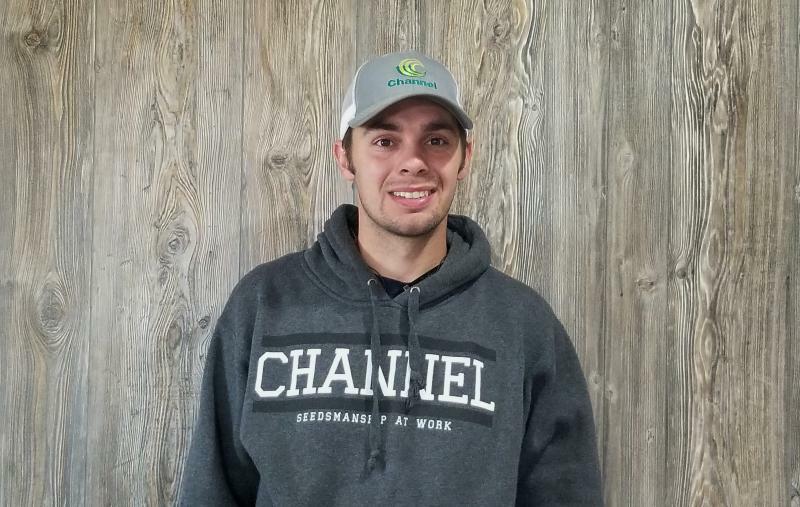 Baker with Ag Link has a few recommendations for younger farmers starting out: Look for land to rent so you can first to avoid too much debt early on, and make connections with farmers in person — even if you are first connected online. Jon Heaton, 26, heeded both suggestions. Heaton studied agriculture at Iowa State, where he learned about Ag Link and signed up for it. Right now, he’s selling Channel seed out of a newly built warehouse in Toulon, Illinois, but he really wants to rent land in Illinois and join the five other generations of farmers in his family. For him, that mainly means looking out for retiring row-crop farmers who have enough land that he’d be able to make a profit on corn or soybeans. “It’s (how) everybody my age wants to get started. That’s how my dad got started. That’s how my grandfather got started. It’s how a lot of my friends, how their dads got started,” said Heaton. Other new farmers are looking for small, local and/or organic operations, which bring their own challenges. To help with the business side, there’s Angelic Organics Learning Center, based in Caledonia, Illinois. “When people come to our program, they tend to be pretty starry-eyed and a little romantic about the notion of farming. And so we do our best to take those rose-colored glasses off,” said Sheri Doyel, the center’s interim program director. Its program Stateline Farm Beginnings has teachers and tenured farmers coaching new farmers through things like marketing, business plans and, of course, land acquisition. “You know farming is notorious for its low margins and part of why it has worked traditionally is because people are running their businesses without paying,” said Doyel, who like Baker supports renting before buying. But she acknowledges the allure of owning land that many beginning farmers can’t help but reach for. For those dead-set on buying small plots of land, the problems are twofold. There’s the challenge of getting a loan for a small farming operation without a lot of starting customers lined up, though the U.S. Department of Agriculture helps by providing loans through the Farm Service Agency. And finding that 10- to 15-acre piece of paradise. It’s a real challenge in the Midwest, where 100-acre farms are more common. Plus, the massive farm consolidation that started in the 1980s hasn’t let up: Between 1987 and 2012, large farms with at least 2,000 acres increased from being 15 percent of cropland to 36 percent of cropland, according to the U.S. Department of Agriculture. Large pieces of land can’t be torn apart easily because of zoning and subdivision permitting requirements, and whatever small ones are left often end up in the hands of horse owners or retirees. Ben Snare and his family searched for a small farm for more than a year, finding it outside of Beloit, Wisconsin. He said it looked “perfect” — but even then, there was an issue: “Zoning. It was a big thing that I never really thought of, but it ended up being a really big thing where we weren’t even going to be able to put up a greenhouse,” he said. He successfully got that changed, but it’s notoriously hard to maintain a steady profit with a small farm. To make a steadier income and prepare for when they’re too old for manual labor, Snare says they’re pivoting toward more meat production and live events. At the same time, he’s raising a 4-year-old who is already helping with some farm chores, a baby boy and a third one on the way. If those three grow up wanting to be farmers, they may see the same challenges their parents did in finding property off the family plot.